I’ve been incredibly fortunate for the opportunity to test to many high-end shoes during my years running this site. You become accustomed to the quality, comfort, and performance of footwear priced in excess of $300USD. 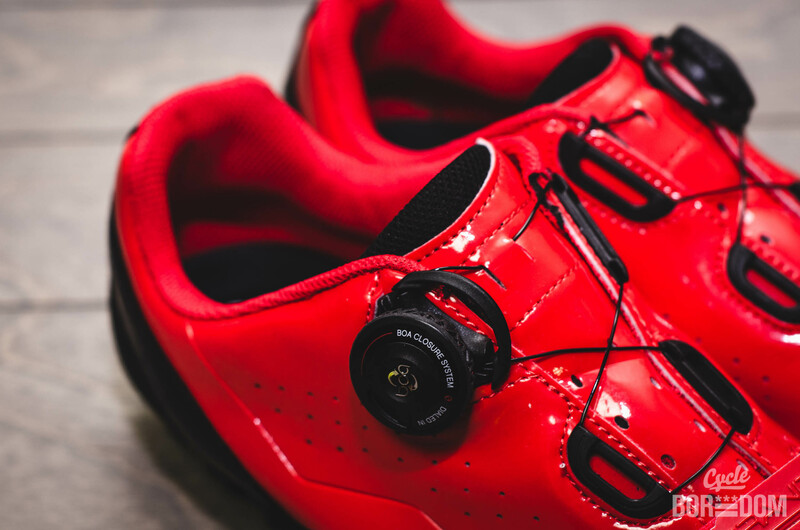 These days, the mere thought of riding shoes costing half that is hard to fathom, and quite distasteful. However, I haven’t forgotten my modest roots, so I figured it would behoove me to test the footwear of la gente, the people. 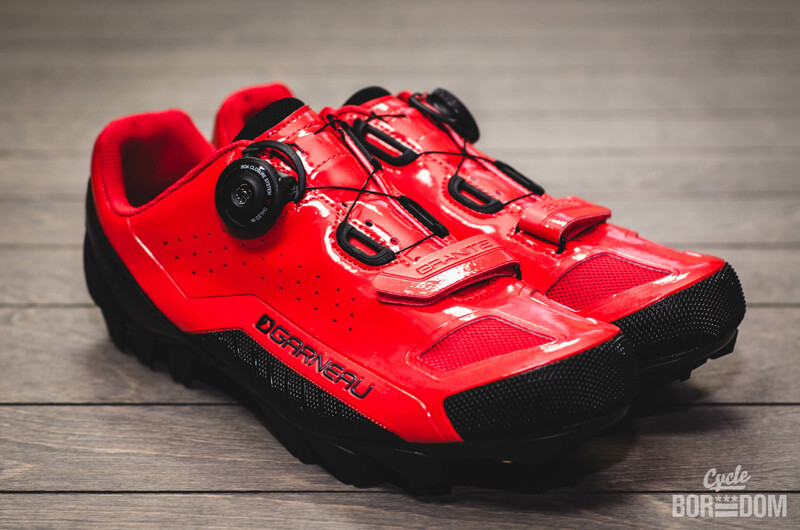 The Louis Garneau Granite MTB Shoes ($159USD) sits right in the middle of their mountain shoe lineup. It features the L4 Boa system covering 2 of 3 strap points, the third being velcro. The Boa system works best, ATMO, when it’s able to cross over like laces rather than being a glorified replacement for velcro. It distributes the pressure in more natural feeling manner. They’re extremely easy to walk in. Unfortunately, I haven’t had much of a chance to test them out in a CX setting, so I can’t really comment on their running and mud clearing abilities. I’ll circle back during this upcoming season and provide some feedback. As for the stiffness, it’s what you’d expect at this price range. It gets the job done without any complaints. The only time I’m reminded about the difference when compared to their high-end counterparts is when I actually wear shoes with carbon soles. Otherwise, nah. They use their Standard Fit on the Granite, with no half sizes. I typically wear a 44.5, and the 44 provided me ample room. Whether or not these run small/true/large, I don’t know. They seemed to be true hence my correct guess at sizing. I’m a huge fan of the red color. It resembles shoes at a much higher price point. The combination of sweet aesthetics and high performance at a solid price make these a good choice. • The red colorway pops. Just get it. For a mid-priced model, it’s pretty steezy. • Good all-around stiffness. Easy to get around off the bike. • Granite is a type of rock. Gravel is made of rocks and rock dust. Therefore, #specific. Follow along on Twitter/Instagram/Facebook as I test the Louis Garneau Granite MTB Shoes.